Ten days in Marbella (well, Puerto Banus to be exact) with only hand luggage presents a girl with a serious packing dilemma. So now that I’m back, over the next few days, I though I’d write a few posts for y’all on what I took, used, and wished I hadn’t bothered. Welcome to the the Travel Diaries. Just to be different, I think I’ll start from the bottom up. Cabin luggage doesn’t really allow for a whole wardrobe of shoe options, so versatility was the name of the game. Of course there had to be a pair of heels, so the Christian Louboutin Almeria Espadrilles were perfect for day and night. (FYI, the MOST comfortable wedges I’ve EVER worn). For those evening’s out when heels were not an option (chiringuita on the beach, I’m talking to you), my new Gina sparklies that I raved about in this video here offered just the right amount of glam without having to totter around on sandy stones. Daytime traipsing, sightseeing and shopping called for something more practical, so my Brian Atwood Hampton animal-print calf hair loafers (mine are now sold out, but the link will take to you as close as dammit) were perfect, especially when I visited the crocodiles…I’ll show them who’s boss! Of course, I couldn’t fit in more than that, but luckily I had left some well-worn Asics trainers and a pair of overused white FitFlops there last year, so gym training was a doodle, as was a stroll on the beach. I’ll admit, it was a struggle to choose which shoes to take, but I was pleased with the result. 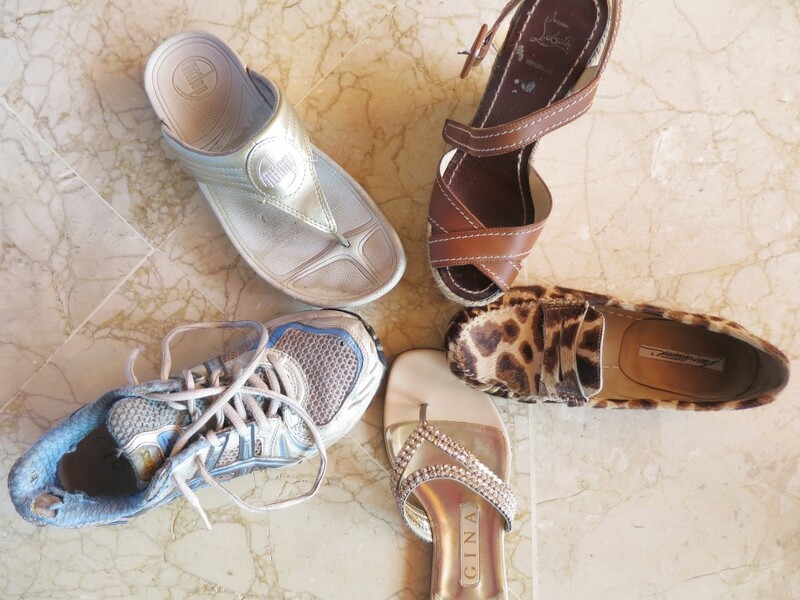 I’d love to know your holiday shoe must-haves? Are you a less is more kinda gal, or do you pile them in? Previous Post The VIDEO: March (and February!) Favourites…and a bit of bagporn too!